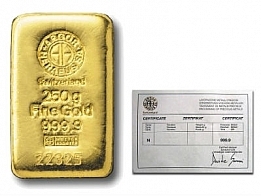 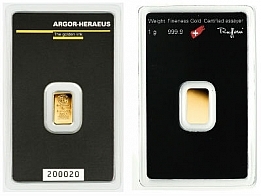 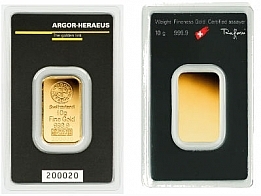 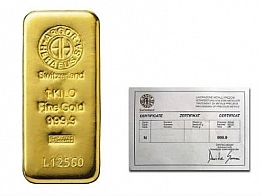 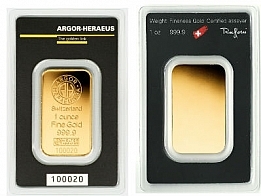 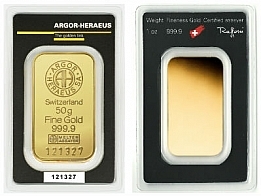 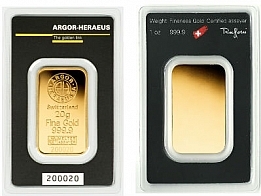 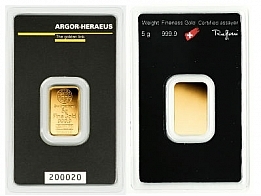 Buy cast and minted gold bars from Argor Heraeus. 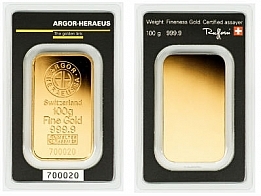 Bars are available in sizes ranging from 1 gram to 1 kilogram. 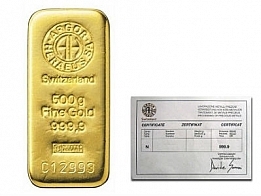 Smaller bars are sold in a certicard, and larger bars with a corresponding certificate. 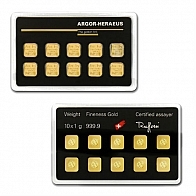 Argor Heraeus round bars, cast bars and minted bars are available for Swiss vault storage or delivery.